A&W’s Beyond Meat Burger is back in restaurants across Canada after the company sold-out. The Beyond Meat Burger, introduced this July, has been A&W Food Services of Canada’s fastest and most successful new product launch—so much so, the company ran out of stock, but now the plant-based menu item is back in restaurants across the country. 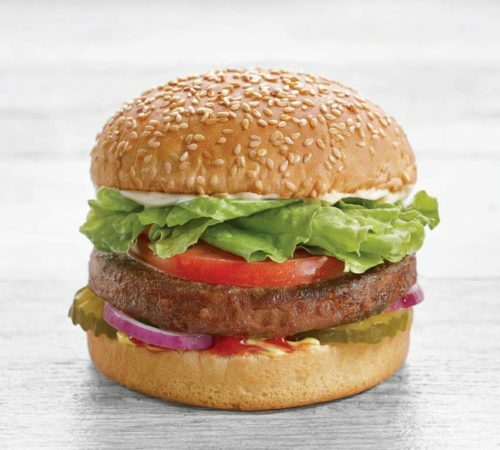 “We’re thrilled to say the Beyond Meat Burger is back and we thank all of our guests for their enthusiasm and patience,” said Susan Senecal, president and CEO of A&W Food Services of Canada. A&W’s Beyond Meat Burger, which was developed in Los Angeles, Calif., is a permanent menu item at all restaurants across the country. It is made from protein-rich pulse crops, including peas and mung beans, to which A&W is adding its ‘classic build’ of lettuce, tomato, red onion, pickles, ketchup, mustard, and mayonnaise.